We all know how much work we can get done while flying coast-to-coast on the plane. So we’d love to have an offline version of our SharePoint sites to work with, right? Enter SPW. From document libraries to lists, you can sync up, unplug, do your thing, and re-sync when you’re back online. You know how you’ve been wishing there was an Alert you could create that would just tell you when someone has put anything new anywhere within the SharePoint site? Well, this ain’t that – but it’s close. 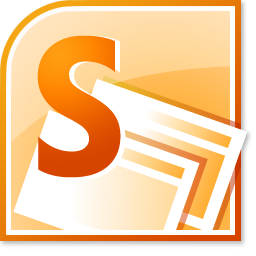 Similar to SharePoint Designer, you can think of SPW as the desktop client experience for SharePoint. This might interest those of you who still complain about having to use a browser to get your work done. Give it a try and see what you think, but in general I’d advise you to get over your issues with the browser – that seems to be the way of the future, my friend. Obviously, this was the 10,000 ft view of SharePoint Workspace, but I thought I’d at least give it a little attention before it meets the same fate as Google Wave. Great. We're using SPW to get around the 5000 item limit in a view. Now what are we supposed to do? Some of the functionality of SPW can be found in the new "SkyDrive Pro", part of Office 2013.